It is obvious that Free Studio is powerful and easy-to-use application which is so widely used and offers great help for users. However, you may run into some problems when you find it is not compatible with Mac. So Mac users had better to find Free Studio alternative for Mac. Part 1. What is Free Studio? Part 3. How to use Free Studio alternative for mac? Free Studio is an amazing video converter bundling 20 free converters, including Video editing tools, the screen capture tool, media format conversion, cutting, merging and burning, etc. Besides, it is bundled with free video converting software like audio video converters, YouTube downloader and DVD burner etc., and enables you to convert video to MP4, AVI, WMV, FLV, MTS, Apple iPhone, iPad and Android devices, download YouTube videos and make 3D images, and so on. However, as most Free Studio programs are simplistic and are not merged into one interface, much trouble will be caused while converting video to different formats and this powerful software cannot even be compatible with Mac, there is an urgent need for Free Studio for mac alternative. And luckily, there is Leawo Video Converter Ultimate for Mac which is definitely recommended as Free Studio alternative for Mac. As a total media converter suite, Video Converter Ultimate provides plenty of media solutions such as editing Blu-ray movies in iMovie, playing Blu-ray on iPad, or burning camcorder HD video clips to Blu-ray/DVD disc, etc. 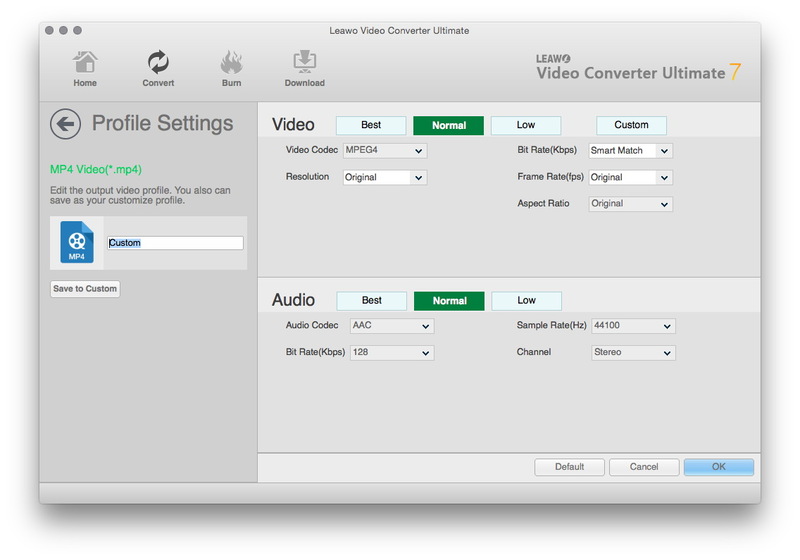 Leawo Video Converter Ultimate meets your needs as Free Studio alternative for Mac as well. It could convert Blu-ray/DVD and up to 1080P videos to more than 180 video and audio formats, burn video to DVD/Blu-ray disc, download and convert online videos to any player or device, create, burn and edit photo slideshows, etc. As Free Studio for Mac Alternative to convert video/ audio, it could also alter, enhance, and retouch media files in perfect quality, even in high-definition or 3D, without any crashes or problems. Part 3. How to use the best Free Studio alternative for Mac? 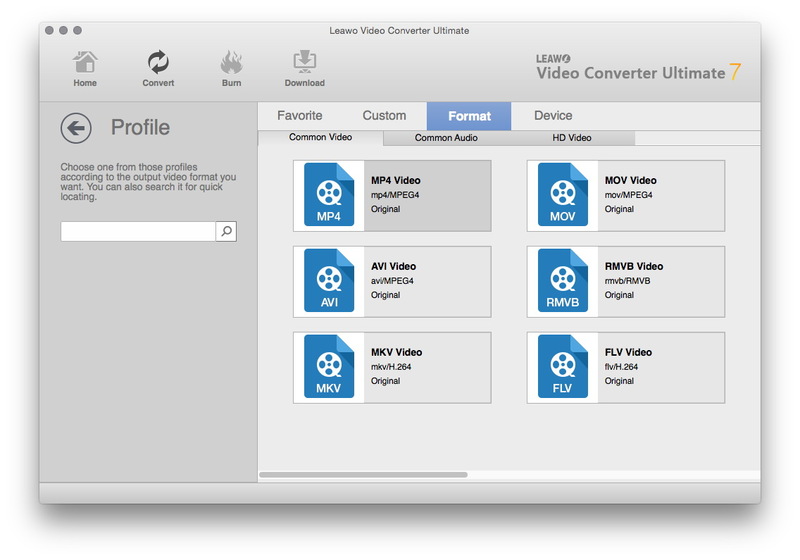 With the high-qualified functions, Leawo Video Converter Ultimate for Mac has been taken as the best Free Studio for Mac alternative. Besides, if you download Video Converter Ultimate for Mac, you download All-in-one Converter for Mac Alternative since it is a great media converter suite. What’s more, to convert video on Mac with the best Free Studio alternative for Mac, you can follow the simple steps on. 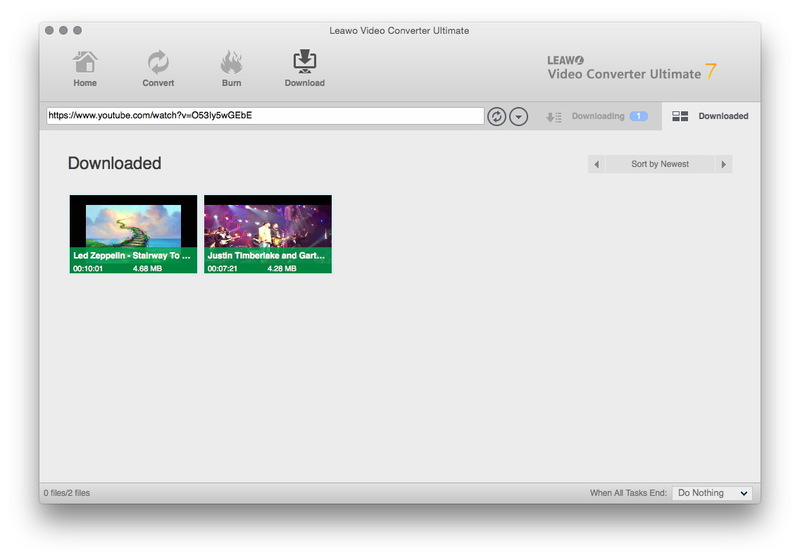 You can download Leawo Video Converter Ultimate for Mac first via the download buttons below. Windows version is also shown for users who needs. How to convert video on Mac with the best Free Studio for Mac alternative? After you download All-in-one Converter for Mac Alternative of this software, you install it and launch it to go to the “Convert” tab. And then you can follow the guide here of Free Studio for Mac Alternative to convert video/ audio. You can click “Add Video” button to import and load source video/audio files for converting. When the source media files loaded, the converter offers the function of selecting subtitles and audio tracks, merging all files into one, playing back loaded movies, and adjusting order, etc. Open the drop-down button next to the “Convert” button and then select “Change” to enter the “Profile” panel to set the output format. Open the drop-down box to enter the “Profile Settings” panel where you can set the parameters for the output video/audio. After the necessary settings done, return to the main interface and then click the big “Convert” button on the sub-menu bar to pop up a sidebar where you are required to set output directory in the “Save to” box to save the final results. When the output directory is entered, click the “Convert” button on the bottom of the sidebar to start converting. In minutes, the conversion will be finished and you can get the converted video/audio you want. Besides, it is not only Free Studio for Mac Alternative to convert video/ audio but also the best Free Studio for Mac alternative for you to download YouTube video on Mac. And here comes the guide on. You may have found the “Download” tab on the toolbar, then you can enter or copy the YouTube video URL or even browse target video via the built-in IE browser. The videos will be all listed by Leawo’s YouTube video downloader, you can select one with the right resolution to download. And you can view all downloading videos on the “Downloading” section. When videos are downloaded, you can check them under the “Downloaded” section. You are able to play back, delete, and open the file folder of downloaded videos. 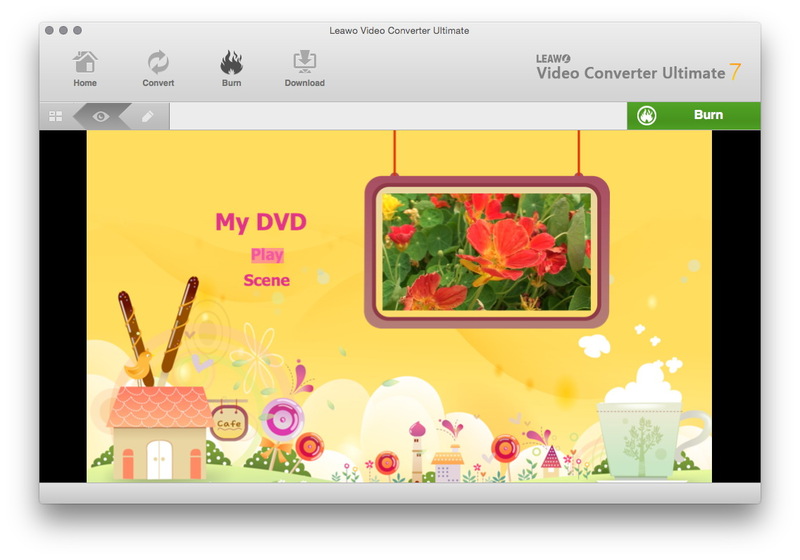 Furthermore, except for being Free Studio for Mac Alternative to download video, you could also add downloaded videos to “Convert” or “Burn” modules of Leawo Video Converter Ultimate for Mac for further converting or burning. And as Free Studio for Mac Alternative to burn/copy DVD, it can often be competent and powerful. And the guide is coming after. How to burn video to DVD on Mac with the best Free Studio for Mac alternative? Open the “Burn” tab and then click the “Add Video” button to browse and load source video files into Video Converter Ultimate. On the right sidebar, you could select a preset disc menu for the output DVD. And you could preview the disc menu and download more disc menu templates from Leawo, if necessary, you can even customize the menu with your own design. Click the green “Burn” button to pop up a sidebar where you could set “Burn to”, “Disc Label” and “Save to” options. At last, on the sidebar, click the “Burn” button at the bottom to start burning videos files to DVD. 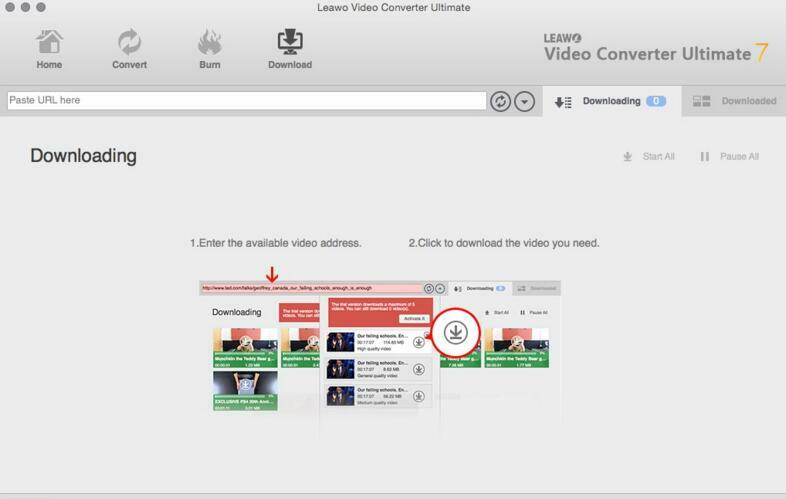 Eventually, only if you download All-in-one Converter for Mac Alternative of Leawo Video Convert Ultimate for Mac, you can simply download videos from YouTube or other video sharing sites, convert video/ audio with simple steps, to burn DVD with a piece of cake. This Free Studio for Mac alternative can offer you great enjoyment and convenience whenever you would like to share great videos or convert them to the format you need.